Charlottesville, Virginia and its surrounding countryside offer a multitude of older and historic homes ranging from charming in-town properties to grand estates tucked into the rolling hills of Virginia's piedmont region. 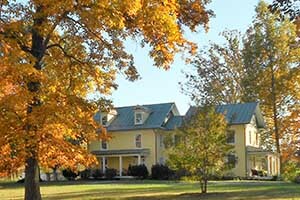 Charlottesville Historic Homes.com is updated hourly so that you can be assured of viewing only the most current listings of Virginia's antique homes for sale. 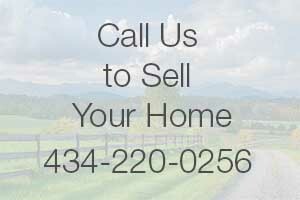 Visit often, or ask us to e-mail you the latest Charlottesville Historic Homes inventory as it is updated! It will be our pleasure to keep you informed via e-mail of the older homes in and around Charlottesville as they come on the market. As you browse through the Charlottesville area listings, you will notice Albemarle County's most celebrated architect, Thomas Jefferson, continues to influence the architectural style through out the central Virginia region with many Classical Revival homes. In addition to Mr. Jefferson, the Universtiy of Virginia's School of Architecture has produced many great architects that made their place as well in the history of homes throughout the Charlottesville, Virginia area. Almost all architectural styles are represented in the Charlottesville area with the exception that there are very few Victorian homes . But you don't have to travel far to find a town with Victorian gems, as Staunton, a 40-minute drive west of Charlottesville, abounds with Victorian Homes! If you are thinking about relocating to the Charlottesville, Virginia area, we will be happy to send you our relocation packet to help you learn more about our beautiful area! Receive email updates immediately when a Virginia Historic Home or Old Home comes on the market in the Central Virginia area. We love Virginia historic and old homes! 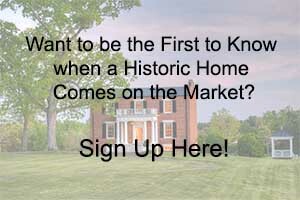 Call us today to see how you can get your home advertised on Charlottesville Historic Homes.com!